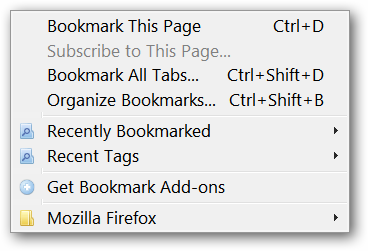 Ever wished that you could combine your Bookmarks Menu and Bookmarks Toolbar together? Now you can with Bookmarks UI Consolidator. The Bookmarks Menu pre-installation. Notice the listing for the Bookmarks Toolbar. Once you have installed Bookmarks UI Consolidator, there are no options for you to have to worry with. Our browser’s interface looks a bit different now. 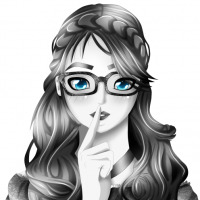 No more Bookmarks Menu in the Menu Bar! Now it has been placed in the left-most position of our Bookmarks Toolbar and has a folder icon (nice!). If you love the idea of doing all of your bookmark work through the Bookmarks Toolbar, then this is going to be especially nice for you! Note: The Bookmarks Menu can now be accessed along with the rest of the Bookmarks Bar using the Tab-Shift key combination and arrow keys (terrific!). 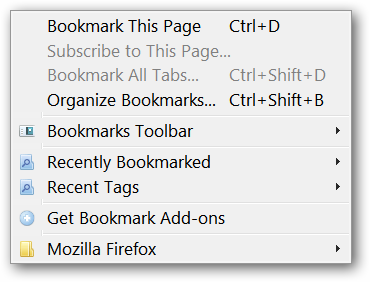 Here is a look at the Bookmarks Menu now that it has been relocated to the Bookmarks Toolbar. Notice that the listing for the Bookmarks Toolbar is no longer present! Bookmarks UI Consolidator provides a very nice way to get all of your bookmark goodness into one location in your browser’s UI. Have fun with those bookmarks!